School of Mechanical Engineering, Zhengzhou University, Zhengzhou 450001, China. This paper presents a method to investigate the characteristics of a high-speed motorized spindle system. The geometric quality of high-precision parts is highly dependent on the dynamic performance of the entire machining system, which is determined by the interrelated dynamics of machine tool mechanical structure and cutting process. This performance is of great importance in advanced, high-precision manufacturing processes. The state-of-the-art in machine tool main spindle units is focus on motorized spindle units for high-speed and high performance cutting. 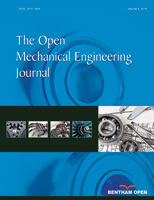 This paper taking the high-speed milling motorized spindle of CX8075 produced by Anyang Xinsheng Machine Tool Co. Ltd. as an example, a finite element model of the high-speed motorized spindle is derived and presented. The model takes into account bearing support contact interface, which is established by spring-damper element COMBIN 14. Furthermore, the static analysis, modal analysis, harmonic response analysis and thermal analysis were done by means of ANSYS commercial software. The results show that the maximum rotating speed of the motorized spindle is far smaller than the natural resonance region speed, and the static stiffness of the spindle can meet the requirements of design. The static and dynamic characteristics of the motorized spindle accord with the requirements of high-speed machining. The thermal deformation of spindle is 6.56µm, it is too small to affect the precision of the spindle. The results illustrate the rationality of the spindle structural design.